Programmers have become important workers in every industry. No longer working just at tech companies, programmers are now a part of many teams across sectors and companies. However, their work life needs are often different from other people working in your office for a number of reasons. What is the Best Desk Chair for Programmers? Programmers spend the majority of their work day at their desks, and much of that time is spent seated for extended hours, focused on their computer screens. Everything from eye strain to neck and should pain can occur if programmers aren’t supporting themselves in the right way. A quality desk chair is the single most important piece of furniture a programmer should have and probably one of the smartest investments one can make. So where do you go about choosing the best desk chair for a programmer? 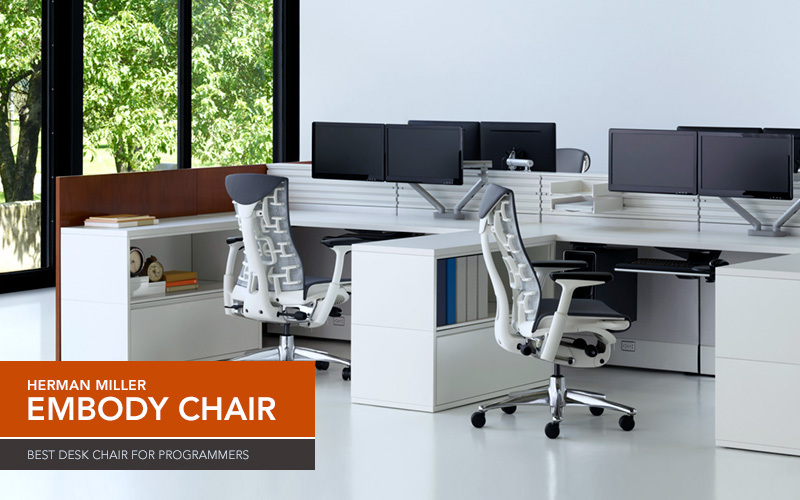 The Steelcase Leap Chair has been a consistent and reliable desk chair for programmers for many years. 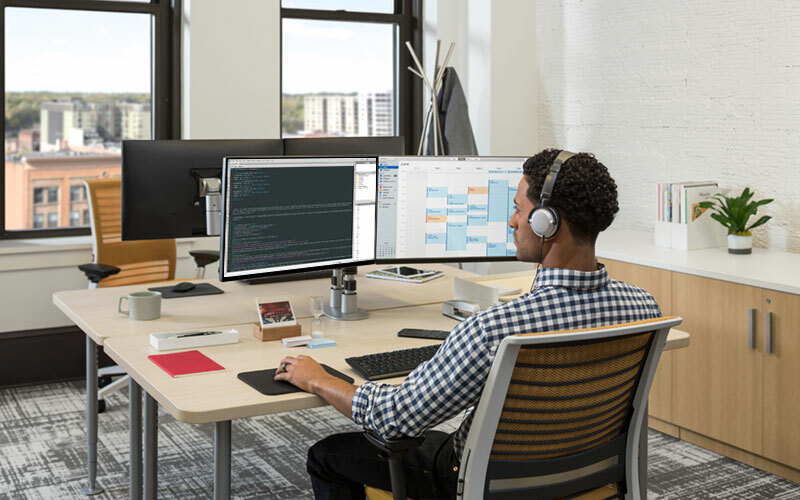 Leap was specifically designed to cater to workers who often sit in one position during the majority of their work day – a perfect match for programmers. It also has the ability to operate with up to 300 pounds of weight without any loss in performance, catering to all shapes and sizes. 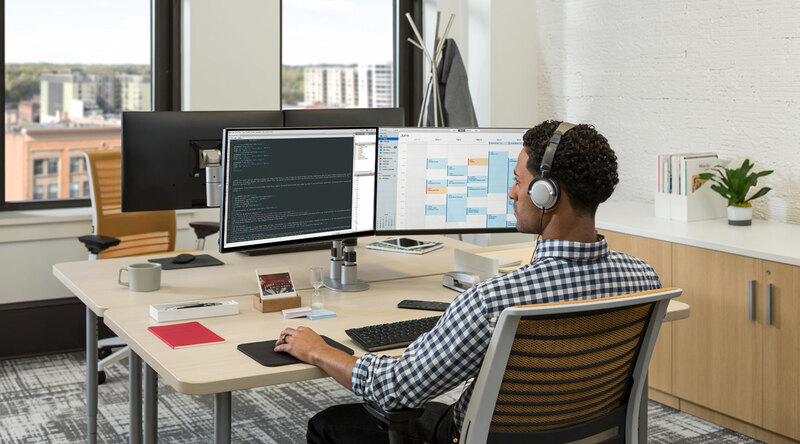 It comes equipped with 26 unique patents to improve comfort across the body and with its focus on improving both posture and productivity, it’s a natural choice for long days of coding. 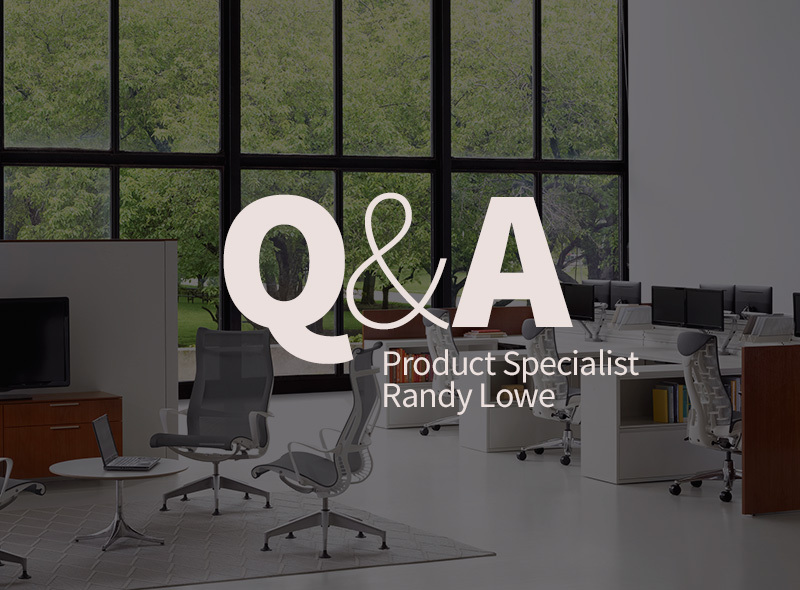 The Herman Miller Aeron has long been a favorite of programmers, and it’s easy to see why. As one of the most iconic office chairs ever made, the Aeron was the first office chair to replace the fabric and foam seat with a mesh seat. This unique design distributes weight properly, relieving pressure points, and reducing heat. 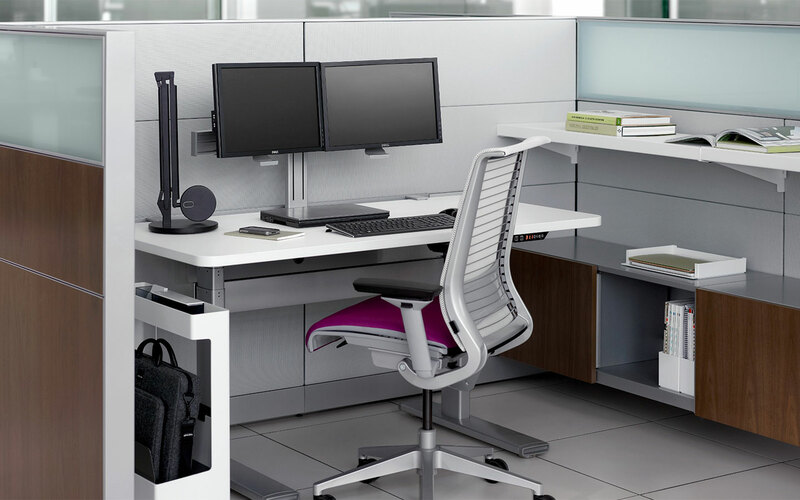 With their PostureFit technology, you also get the added lower back support that ensures the best support spine, a weak spot for workers who spend lengthy stretches of time at their desks. 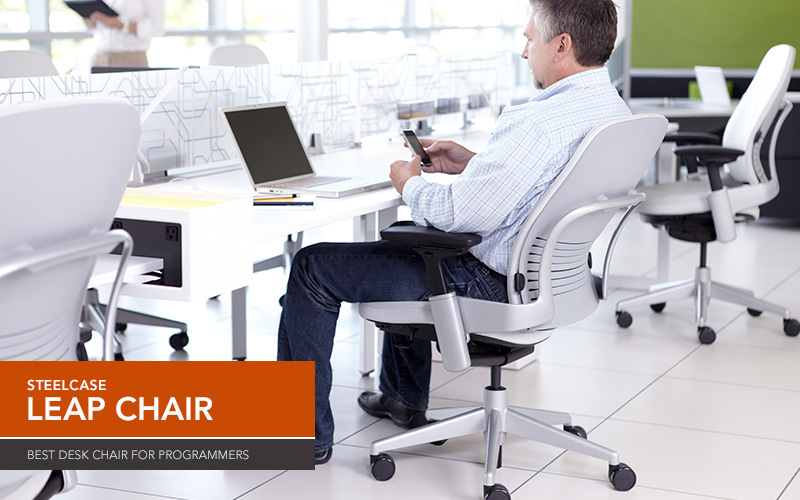 Many of our programmer customers still swear by Aeron as the best desk chair for programmers. The Embody chair is one of the newest ergonomic desk chairs by Herman Miller. It’s ranked #1 by our customers as the most popular, comfortable, and supportive desk chair and is extremely popular among our male programming customers. Its wide seat and nimble back have exceptional breathability and movement while maintaining exceptional support for your back. The Embody chair has a striking design, it’s distinctive spine-like back enables each part of the chair’s back to move independently with you. No matter how you move or lean the chair will move with you. This blend of ergonomic design makes Embody chair a very popular choice for anyone who needs excellent support for long durations seated. Many people complain about how uncomfortable their office chairs can be, even if they only spend a few hours at their desks per day. For programmers, these problems are not only magnified but can lead to major discomfort and even certain health conditions. 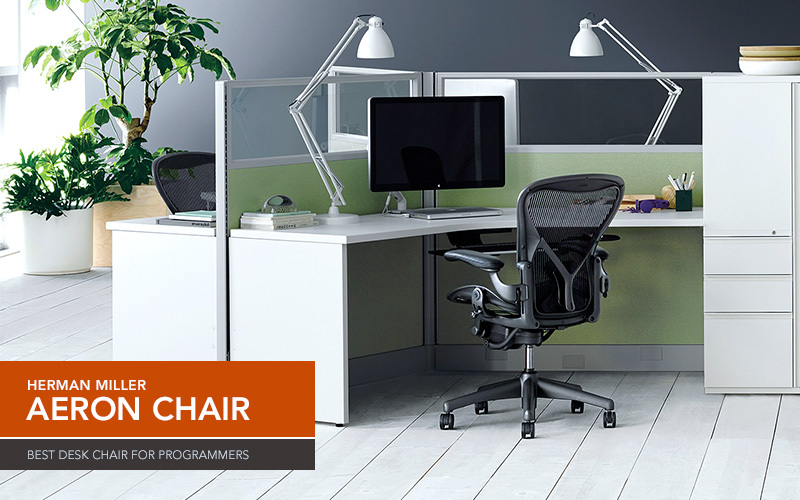 Because of this, it is important to choose the most appropriate office chairs for programmers so that they can stay healthy and productive while they work.